The Teen Ministry of Charter Oak Lighthouse is offered on a weekly basis during our Sunday morning service. This is supplemented by periodic special events and outreaches. 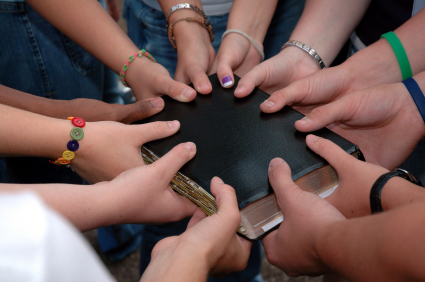 Our Teen Ministry is focused on an apologetics approach to Christian education through which we present a defense of the Bible and the Christian faith to our young adults. The word “apologetics” comes from the Greek word “apologia” which means to defend something through rational argumentation. In 1 Peter 3:15 we are instructed by the Apostle: “But sanctify the Lord God in your hearts, and always be ready to give a defense to everyone who asks you a reason for the hope that is in you . . .” The “defense” that Peter urges upon us here in this verse is an “apologia” or a rational defense of the faith. This then is the goal of our Teen Ministry: To thoroughly equip our teens to handle the challenges that they will face as Christians in an unbelieving world. Accomplishing this goal necessarily includes evangelism, teaching and instruction, and discipleship aimed at spiritual formation and spiritual growth. We look forward to meeting you and your family and to working with any teens you may have in your home. We encourage you to invite your friends and neighbors to participate in this vital ministry. We ask the Lord’s blessings upon it as we seek to help in the task of raising up another generation of Jesus’ disciples.